This cemetery is derelict as is the church. It was built on the site of a former Benedictine Priory built in 1150 but was closed in 1540 during the dissolution of the monasteries. It remained as a Parish Church until 1940 when it fell into disrepair. 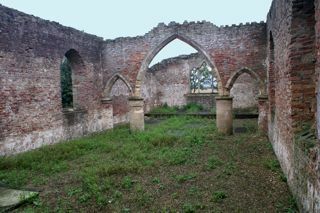 It is now in the hands of the Parish Council but in a severely derelict state. The GPR holds 76 grave and 164 person records for the burial ground.